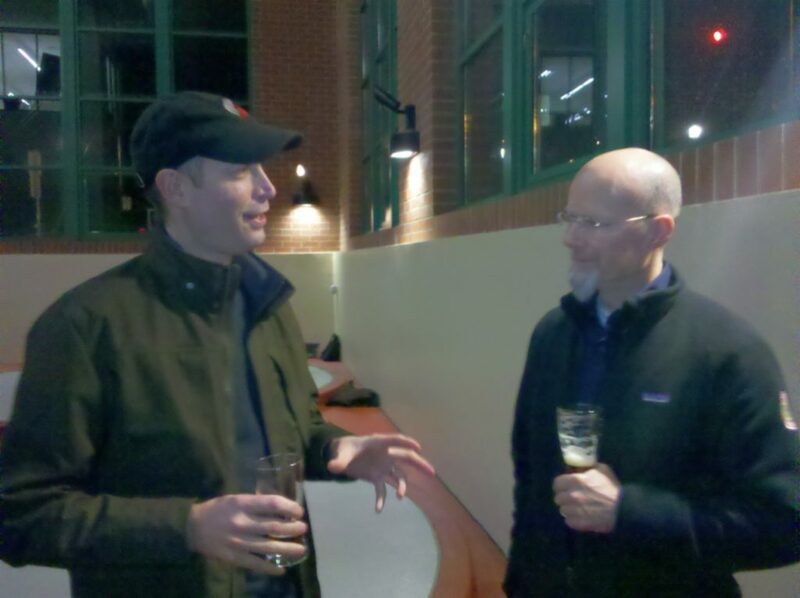 I was happy to receive an invitation to a media event at Widmer Brothers Brewing to sample, and discuss their latest two beer releases of the new year. W'12 Dark Saison, and the fourth upcoming Rotator Series IPA called Spiced IPA. I haven't been blogging very long, and rarely do I get the chance to actually write about a pub, brewer, or beer adventure. 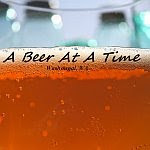 I have put out a lot of emails to brewers introducing myself, and trying to get on media lists and mailers just so I can experience the latest and greatest in the industry, meet a whole lot of new friends who share the same passion, and share those experiences with a targeted audience of craft beer enthusiasts. Widmer Brothers was one of the first to quickly send me some goodies to write about, and invite me to this fantastic event which I will briefly discuss. Thank you, Widmer Brothers Brewing. The event took place in their brewing facility right off Russel street across from their pub. They had some good appetizers that were actually really damn good. A lot of media/blogging people showed up, and it turned out to be a very fun event, and quite informative as well. Many greats in the beer industry/community showed up such as Fred Eckert, John Foyston, Rob Widmer, and many more. 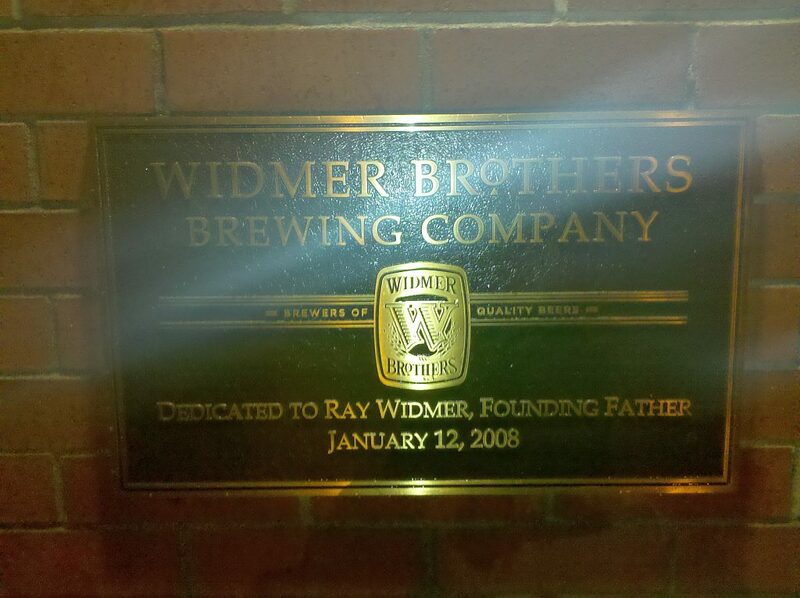 We started with a glass of their famous, and probably oldest production beer, the Widmer Alt. I hate to say it, but it has been ages since I have had it, and it was very nice to come back to it. I forgot how much I really liked it. It especially reminded me how much I really liked its bitterness. Second, the new W'12 Dark Saison poured. From the tap, it was much the same as the bottle they sent me. I did comment to some on how the 6-pack in my fridge seemed to be a little different. The beer had been a difficult venture for the brewers, and the yeast was a little more difficult to manage from what they are used to commonly using, but I think they have it dialed in. It was interesting listening to the creation process, and idea forming used to make these beers a production possibility. Hearing other idea-beers like a "smoked beer", and the sort, really peaked my curiosity. It was also great seeing Rob Widmer himself discussing the beers, and the market in which Widmer Brothers Brewing is trying to reach. I started noticing a change from the 'norm' with Widmer beers when they released their very tasty Drifter Pale Ale. I kind of thought to myself: "It's about time they released something new and different." I know, kind of bad of me right? Not really. I think I shared the same opinion as many, and Widmer Brothers Brewing listened. 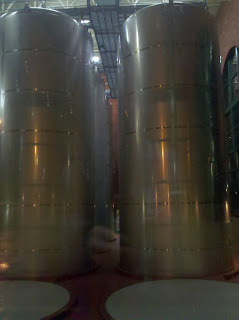 After that, a whole slew of new brews started rolling out of the brewery including their entire Brothers Reserve Series. Also I am fondly remembering their 25th Anniversary Ale which was a double Alt (still one of my most favorite beer releases of theirs). Now many craft beer drinkers have made such releases like their Pitch Black IPA, Rotator IPAs, and KGB Russian Imperial Stout favorites.. where just a few years ago, those beers never existed. I really love how they have branched out, embraced the homebrewing community much more, and really let their brewers and production team off into the wild in a very clean and tidy facility full of wonderful brewing equipment (which is going to expand even more-so with some new larger fermentation/brewing vessels that run about $300K+ each). 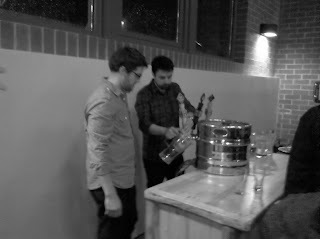 We later got around to tasting the new upcoming Rotator Series IPA, Spiced IPA. Right after the pour, the aromas hit me with a surprise. Fruity zesty aroma hops hit me in the face. 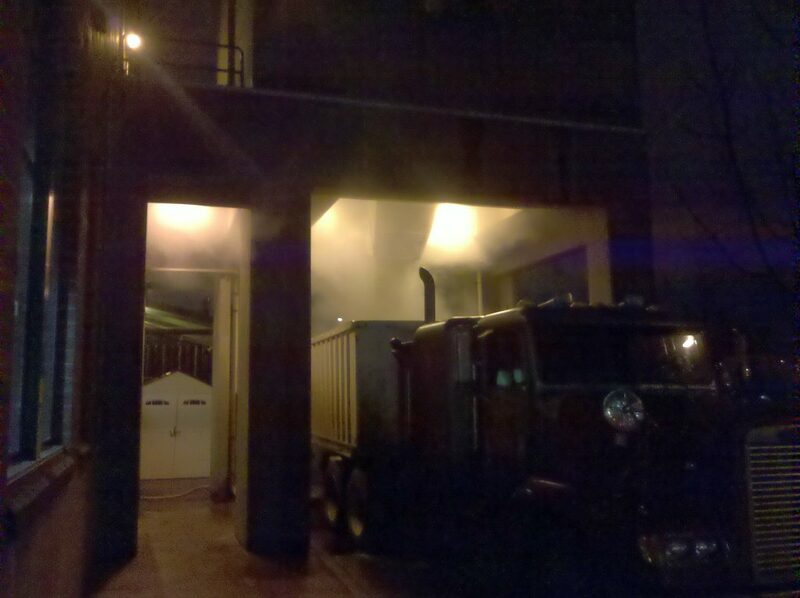 Plus I think the beer was about as fresh as it gets. Lots of hops were used, and the chai tea spices were a nice blend in this beer. I think this can easily be my favorite so far of the Rotator Series. I'm thinking some of the tea notes will settle a little once distributed all about the country to nearly all 50 states if not all 50. I also knew to myself that this beer had to be dry-hopped, so i popped the question, and it was confirmed. I also learned that this was the first production beer Widmer Brothers Brewing had every dry-hopped. That is just too cool. I think many will appreciate this beer, buy a lot of it, and look even more forward to what the Widmer team will be doing. I for one, am thankful that Widmer uses AB (Anheuser-Busch) for distribution. I think it was a smart move and is really the whole reason these new great beers will be reaching so many locations and distributors in the country. Also you are almost guaranteed the beers will be fresh when purchased. It has allowed Widmer Brothers Brewing to expand even more, and become more creative in their beer releases. Thumbs up from me. It was great seeing so many from the beer community, and I hope to continue being a part of the latest happenings in the northwest. Thanks again Widmer Brothers Brewing, and Cheers!